Suz Galloway is a member of the Transparent Watercolor Society, American Society of Botanical Artists, and Southwestern Watercolor Society and has served in several capacities on the board of the Minnesota Watercolor Society. Her work has been included in multiple national and regional juried competitions, invitational shows and galleries. Recently one of her botanical pieces was juried into the Eloise Butler Wildflower Florilegium. Currently she teaches at the Minnetonka Center for the Arts, and conducts regional workshops and private lessons. Suz will focus on a wet into wet approach to underwater rocks. 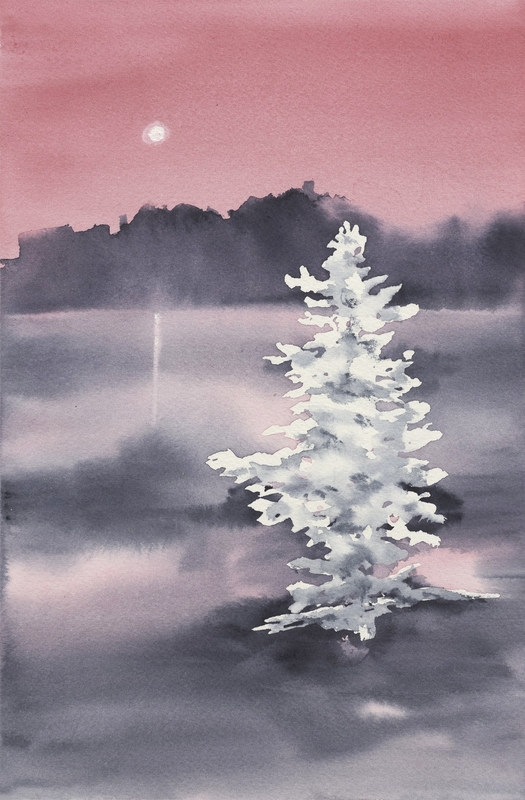 She will also show her poured approach to her “Moonlight Painting accepted by Courage Kenny as one of their 2017 holiday card collection pieces. Further information can be found at her website: birchbriarstudios.com.